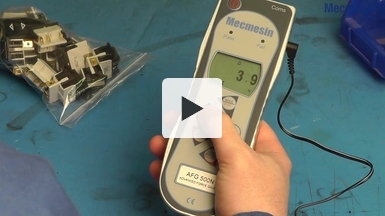 This video is an overview Mecmesin's AFTI Advanced Force and Torque Indicator. 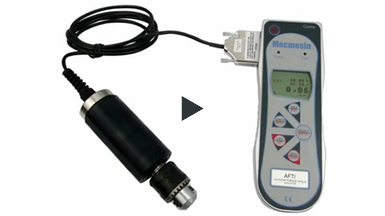 Measure, record and store readings from plug-in force sensors or torque sensors. The Advanced Force Gauge (AFG) is a rugged, hand-held digital force gauge for tension and compression testing with ten models with internal loadcells for measurements from 0.005 N to 2500 N, all with an accuracy of 0.1% of full scale. To further increase the versatility, external force or torque smart sensors can be plugged in to use all the powerful features of the AFG, including automatic first and second peak capture and comprehensive settable "Pass" and "Fail" criteria. 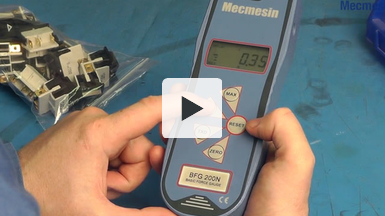 The Basic Force Gauge (BFG) BFG is a mid-range, affordable digital force gauge. Six models span the range for measurements from 0.002 N to 2,500 N, with an accuracy of 0.25% of full scale. Results can be displayed in other units including kilogram-force, pounds-force and ounces-force. Peak readings can be captured in compression or tension. 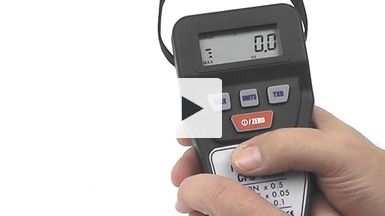 The Compact Force Gauge+ (CFG+) is a hand-held, battery powered digital force gauge that can be used for elementary measurement in tension or compression. 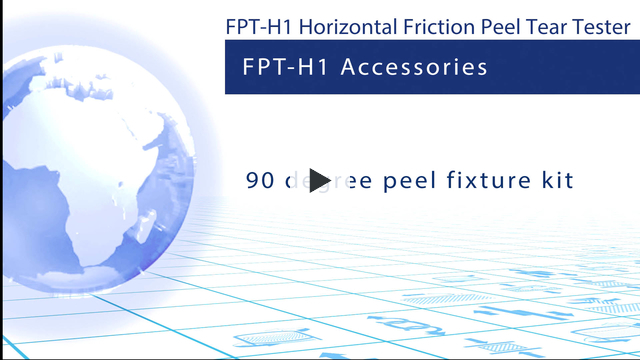 It is supplied with a tension hook, extension rods, a compression plate and a certificate of conformity and is ready to start testing straight out of the box. 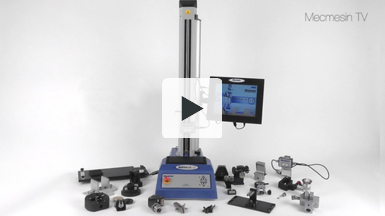 The MultiTest-xt force tester is, an easy to use tensile and compression testing system, ideally suited to making routine quality control measurements in production areas. Controlled by a built-in touch-screen console, only minimal training is necessary to begin testing and results are easy to interpret with a colour coded "Pass" or "Fail" indication. 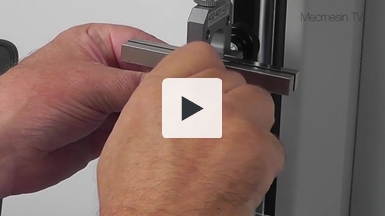 The MultiTest-xt range of easy to use force measuring systems are specifically designed for conducting tensile and compression tests within the manufacturing environment. 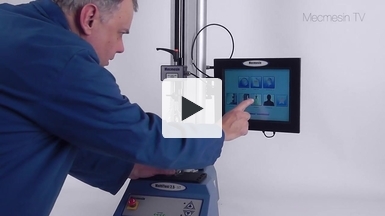 Controlled by a built-in touch-screen console, only minimal training is necessary to begin testing and results are easy to interpret with a colour coded "Pass" or "Fail" indication. 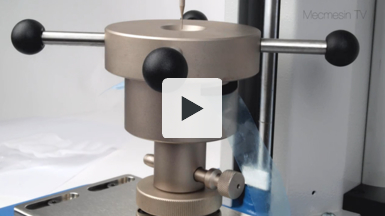 A puncture resistance test on flexible packaging material to international test standard BS EN 14477:2004 is conducted using a MultiTest 2.5-xt touch-screen force tester and puncture test fixture. The force tester is driven by Emperor software, which controls the speed of the test stand, collects the data, and then calculates penetration force, elongation at break and the penetration energy.